Requirement to Explain: If you didn’t know, appraisers are required by USPAP (our uniform standards) to analyze and report the past 36 months of sales or transfers of the subject property. Thus analyzing a prior sale can be a normal and even mandatory part of the appraisal process. Context: A previous sale can sometimes give tremendous insight into how the market responded to the subject property. This is especially true if a property is unique or funky. What did the subject property compare to at the time of its previous sale? How did it fit within the market? Digging deeply into neighborhood sales can help us answer these questions and maybe even influence the comps we choose for today’s value. Clues into Adjustments: A prior sale can give clues into how much we might need to adjust for certain aspects of the property. For instance, if the subject is located on a busy street, a previous sale might help us see if that was a big deal or not compared to other neighborhood sales. Or maybe the subject property has a very large lot for the neighborhood, and prior sales can help us gauge how much of a premium there was if any. Or imagine a house is twice as large as anything else in the neighborhood. Let’s find some current comps of course, but let’s also look to the past too. Can we maybe glean some value context by seeing what buyers were actually willing to pay for this beastly home in the past? Maybe so. 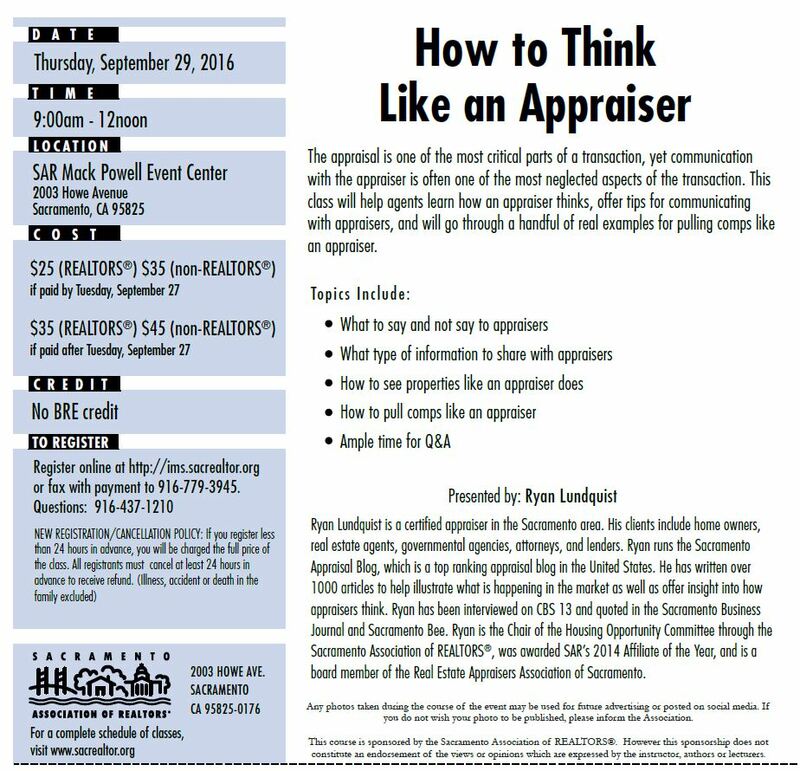 Comp #4: Appraisers can use the subject property as a comparable sale in reports. Not that appraisers need permission, but according to Fannie Mae, “The subject property can be used as a fourth comparable sale or as supporting data if it was previously closed” (B4-1.3-08). I’ve done this on occasion when a property is unique and data is limited. After all, what is more comparable than the subject property itself? Past vs. Present: If there was a previous sale in the past, we can probably milk it for some perspective, but let’s remember we ultimately have to let the current market speak to us instead of imposing the past on the present. After all, the market might be different today due to a change in zoning, change in buyer demand, gentrification, etc… It’s worth noting too sometimes sales in the past simply sold for way too much or way too little. Example: Here is a graph I made for an appraisal I did recently that was going to court. The subject sold three times in the past at a mid-range of the competitive market. Does the history of sales help build credibility for why I reconciled the value to the middle range? I think so. Tip for Agents & Owners: If something has changed about the property since the previous sale, be very intentional about talking with the appraiser about the change (please use my Info Sheet for Appraisers). Also, I recommend opening up discussion about the nature of the prior sale so the appraiser can have more information and maybe make a judgment call about the sale (especially if the property sold too high or too low for some reason). Questions: How do you use previous sales when you value properties? What is #6? Did I leave something out? I’d love to hear your take.